Recently there has been a slight rise in crime in the Police District. From 8/1/17 � 11/4/17 there have been four (4) Residential Burglaries, commonly known as home break-ins. We also had a vehicle stolen and several larcenies from autos. There was a Burglary on Derby Road which occurred between August 26- 28th, No forcible entry, property was stolen from residence. On October 16th, there was an occupied Burglary on Davis�Road. At approximately 2:00am, 3-4 subjects entered the house, confronted the male homeowner, a weapon was displayed, and property was taken. We believe this location was selected for a reason and does not fit any Burglary patterns to date. On October 18th, there was a Burglary on North Plandome Road. Forcible entry was made sometime between 11:45am and 3:50pm. 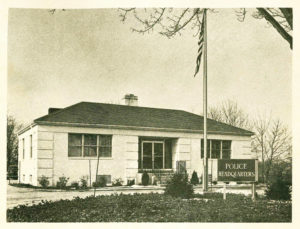 Property was stolen from the residence. Two Burglaries occurred at the same location in Baxter Estates between 10/25 � 11/3. Residents were present, doors were unlocked, and property was stolen from the residence. Time of Occurrence was between 9:30pm � 1:30 am. Again, we do not believe any of the Burglaries are connected to any particular pattern. On October 15th at approximately 3:20am, a vehicle was stolen from Reid Ave. Through investigation, we do not believe this was connected to any of the burglaries. Property stolen from vehicles continues to occur. This is a County wide problem. Several of these larcenies have occurred in the Bayview, Reid, Davis, and Mackey Avenue areas. The vehicles, parked in the street or driveway have been left unlocked with personal property in them. Please check the News section on�this website�for information on how to keep your property safe. 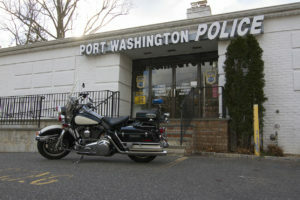 Port Washington is a relatively safe community. Our Police Officers do an outstanding job 24/7 � all day, every day. But we need your help. If you see something suspicious, such as someone you don�t recognize on your neighbors property, Call 911. If you see someone suspicious on your block, Call 911. I encourage you to look at the burglary prevention tips below and spend some time evaluating your home. If you have any questions or need assistance, please contact Deputy Chief Robert Del Muro – Commanding Officer of Patrol 516 883 0500 ext. 315 or P.O. John Bellini – Problem Oriented Policing Unit 516 883 0500 ext. 345. A dark house is an unoccupied house. A house with no light on at dinner time tells burglars that you are not at home. Make sure the exterior of your house is well-lit. Exterior lights are important — especially near doors or in the rear of the house, where burglars do most of their work. Close and lock your windows. 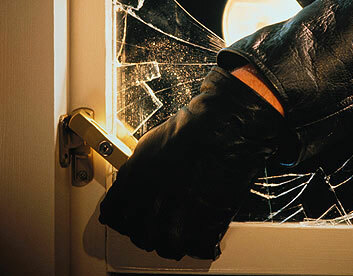 Most burglars won’t attempt to break a secured window for fear of attracting attention. Make an itemized list of everything you own. Include brand name, model number, serial number, where and when purchased, and the items’ purchase price or estimated value. Attach receipts if you have them. Take photographs or videotape everything, and keep them in a safe place. If you are going away, ask a trusted neighbor to pick up all mail, newspapers and deliveries daily. Do not allow these items to accumulate. Ask this same neighbor to park in your driveway while you are gone. Don�t let empty garbage pails sit curbside after trash collection days. Residents and Police are partners in solving crime; we welcome the information provided by the communities we serve. If you see something � Say Something. If you hear something � Say Something.� Don�t wait, call 911 immediately. If you are using a cell phone, dial 883 0500. If you are unsure about whether to call, I encourage you to call.